As the gum infection progresses, more of the supporting tissues such as the jawbone is destroyed. The most severe forms of the diseases include extensive bone and tissue loss and unfortunately, we cannot grow the bone back in most cases. Teeth often become loose and may drift from their original position which can lead to gaps forming between teeth. What is the treatment for periodontitis? 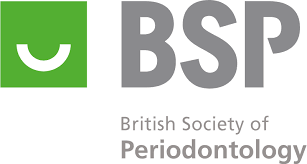 The first line of defence against periodontal disease is actually prevention. This includes a good oral hygiene routine at home. Brushing at least twice a day and cleaning between teeth once a day with floss/interproximal brushes helps prevent plaque from accumulating. Depending on the severity of the disease, more in-depth oral hygiene instructions may be recommended. Depending on how far the disease has progressed, treatment can vary widely. In the early stages of gum disease, treatment may involve scaling and root planning. This means removing plaque and calculus in the pockets around the tooth and smoothing the root surfaces. Scaling and root planning helps rid the mouth of infection-causing bacteria and irritants beneath the gum line. More advanced cases may require periodontal surgical treatment. The goals of this treatment are to remove plaque bacteria and calculus from deep pockets around teeth, reduce the pockets, smooth root surfaces and arrange gum tissue into a shape that will be easier to keep clean. By doing this we are able to preserve the remaining jawbone and therefore keep the natural teeth for much longer. This young man presented with severe disease. He had very swollen gums with a lot of bleeding. Dental x-rays shown a considerable amount of bone loss. He had a course of gum therapy over 3 appointments. His bleeding had completely stopped and swelling had gone down enormously. The pocketing around his teeth also had decreased and his mouth felt much fresher. In need of an emergency procedure? Give us a call and one of our team will be there to help you.